Merut Tekin comes from a long line of merchants in southeast Turkey. From as far back as anyone can remember, his family has run shops in Hasankeyf, an ancient Silk Road trading post on the banks of the Tigris River. Neolithic caves line the surrounding cliffs, atop which a Roman citadel rises over early Ottoman minarets. From his shop, Tekin can observe a fair chunk of human history with a quick glance, but he is likely to be the last of his relatives to enjoy such a view. A few kilometers downstream, construction on the Ilisu Dam is nearing completion and this part of the Tigris River valley will soon become a reservoir, inundating Hasankeyf in the process. The project has been decades in the making, and despite local and international protests — in which European banks withdrew funding – recent developments suggest water levels will start rising this summer, though a firm date has yet to be announced. Now it seems the wait is coming to end, as the final turbine will be installed in the 1,200-megawatt dam this spring. 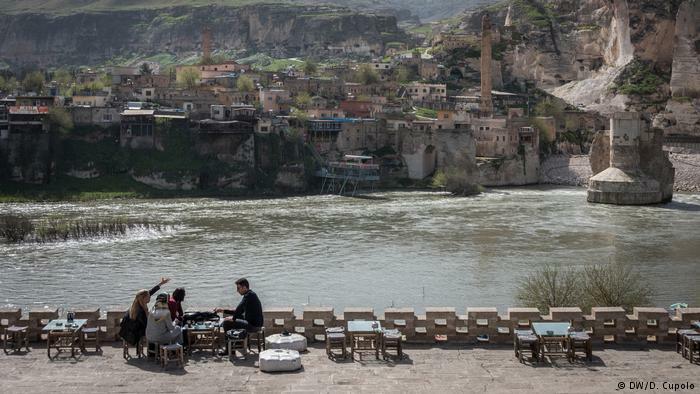 To prepare, Turkey’s General Directorate of State Hydraulic Works (DSI) issued eviction notices in February to Hasankeyf merchants, ordering them to close up shop and move to the new Hasankeyf being built across the river on higher ground. The notice was met with protests. Merchants complained the new town was not yet complete and they would be unable to conduct business away from the historical sites where they have long made a livelihood out of selling souvenirs to passing tourists. 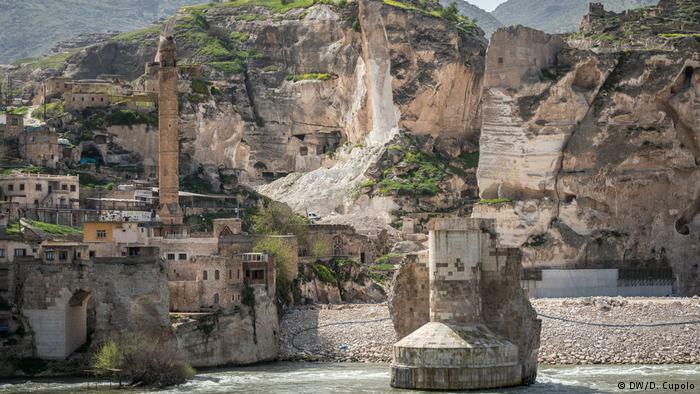 Yet while Tekin reflects on the heritage and businesses being lost, his mind is preoccupied with the coming reality that he, along with other locals, will not be allowed to move to the new Hasankeyf due to restrictions in Turkish relocation and compensation laws. The state has built 710 housing units in the new Hasankeyf and is allocating them only to families registered as residents of Hasankeyf. Though Tekin was born and raised in Hasankeyf, he is single, so he is not eligible to purchase neither housing nor a commercial property in the new town. Merchants who rent shops in Hasankeyf but live in adjacent towns will also be denied property and state assistance. Tekin makes light of his situation, blaming the Ilisu Dam for his bachelor status by pointing out that the looming project prompted Hasankeyf residents to move out over the decades, driving the town’s population down from 10,000 to about 2,000 year-round residents. “When we want to marry, we can’t because the population is decreasing … and then they say, ‘You’re not married so we won’t give you another house,'” Tekin said. The first proposals for the Ilisu Dam were introduced in the 1950s. 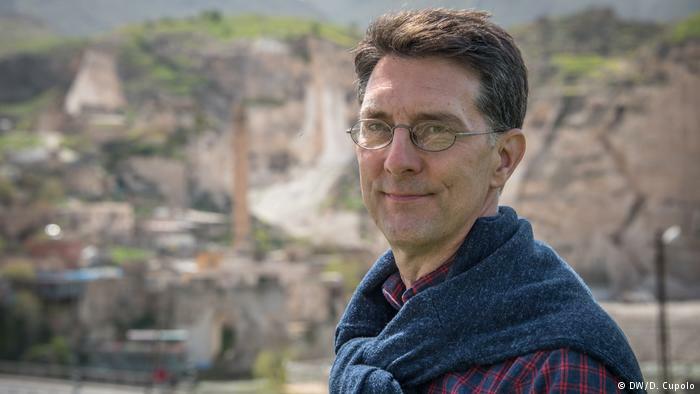 Since then, the prospect of a reservoir flooding the area has diverted investments away from Hasankeyf, said John Crofoot, an American who has lived on and off in Hasankeyf for six years and the co-founder of Hasankeyf Matters, which tries to raise awareness of the hamlet. The state claims dynamite is not being used in the process, but residents told DW they often heard explosions coming from work areas. 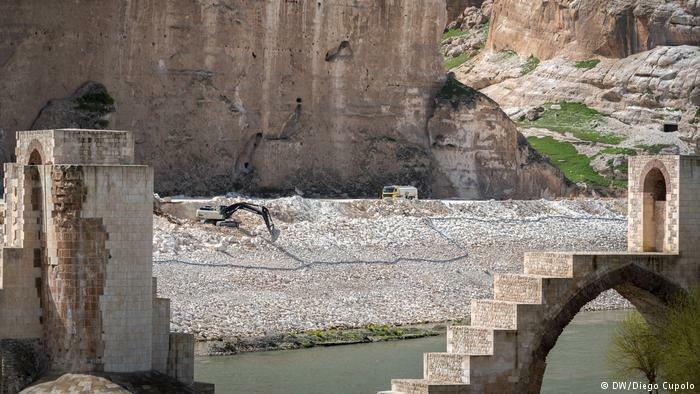 Large earthwork projects are also underway in Hasankeyf, one of which is meant to reinforce a cliff topped with a Roman citadel, as it will remain above the reservoir’s projected water line. 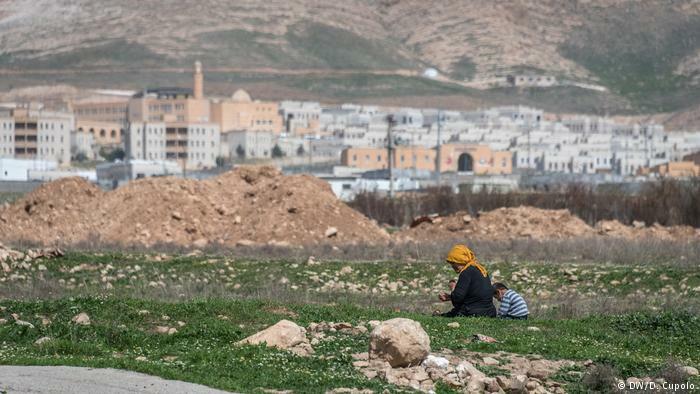 Hasankeyf residents interviewed by DW said demolition plans were never publicly shared and independent environmental impact studies had not been conducted. Such claims were refuted by Alexander Schwab, senior vice president of Andritz Hydro, the Vienna-based company overseeing the construction of Ilisu Dam. Schwab said every house in the area was tracked via aerial surveillance and later visited by consultants who informed inhabitants about construction plans. Ulrich Eichelmann, CEO of Riverwatch in Vienna, disagrees.